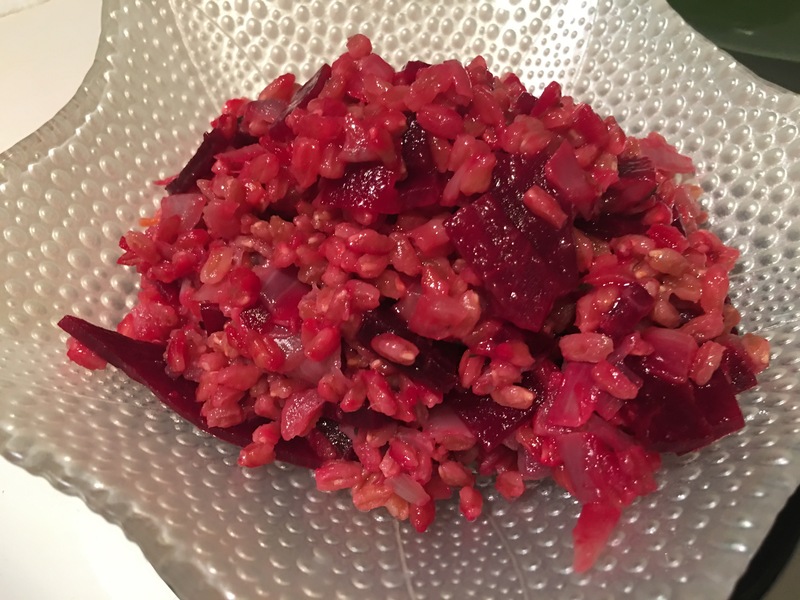 Farro with roasted beets and red onion – Hurried Home Chef! I’ve been trying out this grain now for a bit and so far I love it. 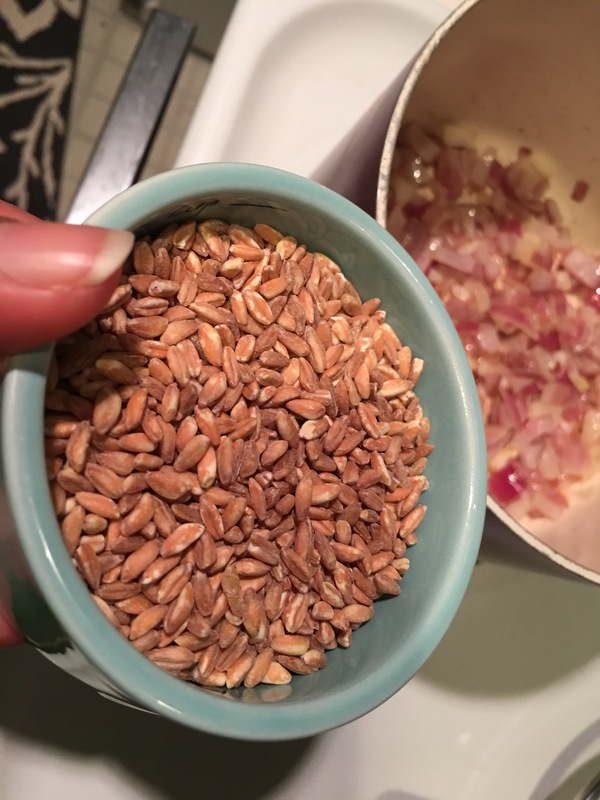 Farro has a nice texture and holds the flavor of what it’s cooked with well. 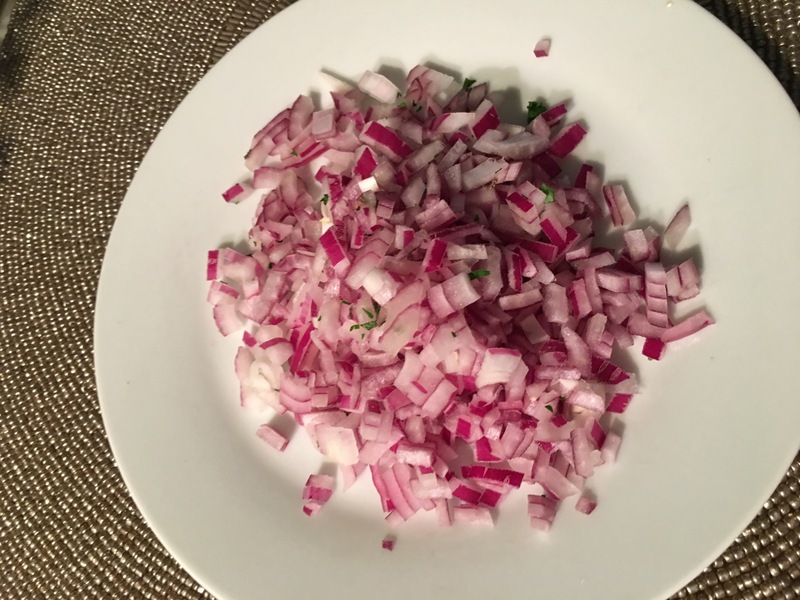 Start by sautéing onions or shallots in EVOO or coconut oil. 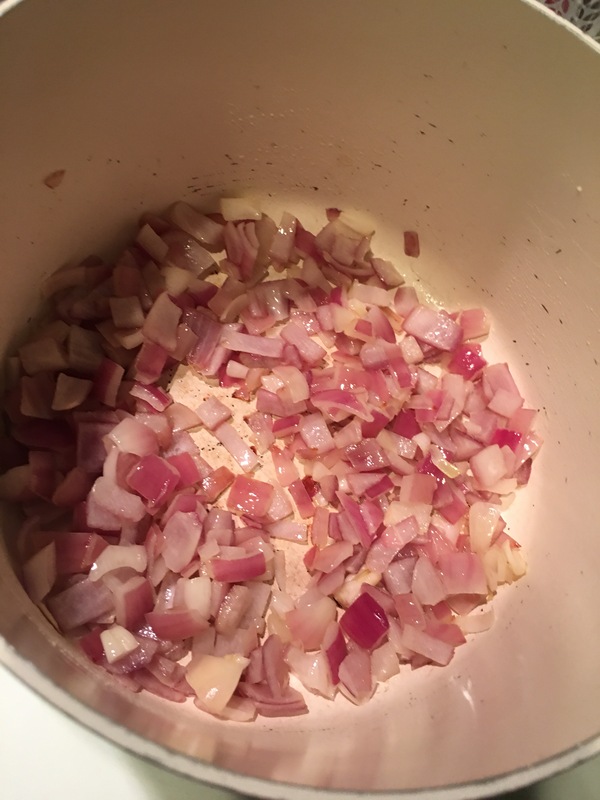 Use medium high heat so they don’t burn. 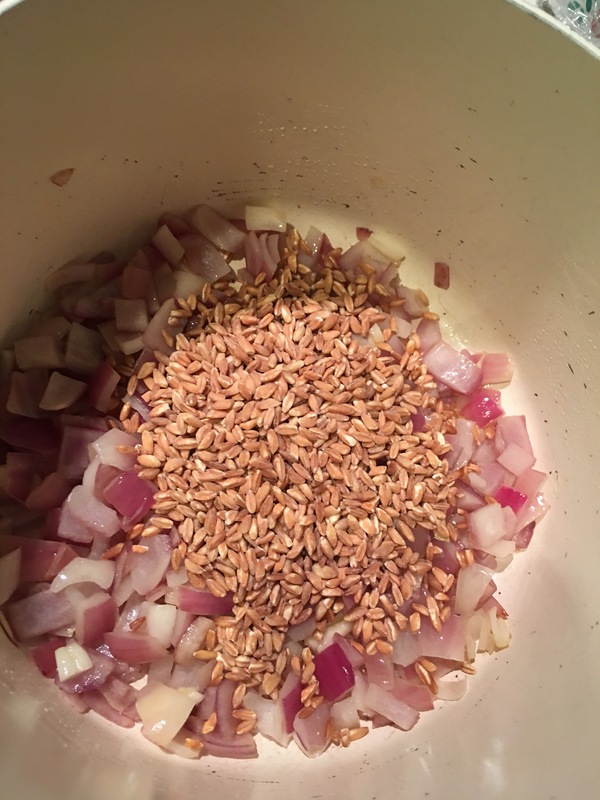 Add farro and cook for a sec. 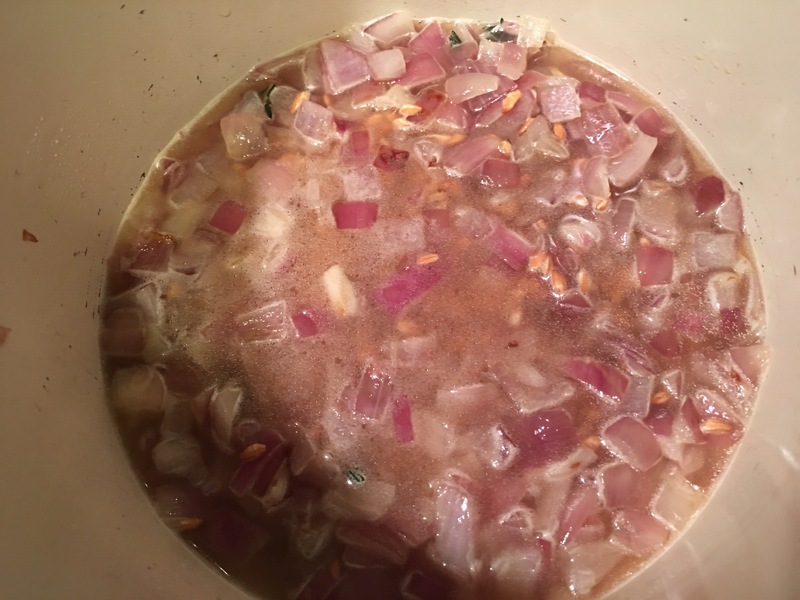 Add chicken stock or whatever stock you prefer. This is a standard 2:1 ratio. For 2 people, I make 1/4 a cup. I like a bit of thyme and a small piece of habanero as well. I added some roasted beets I had leftover in the fridge and heated it through. Love the great color.